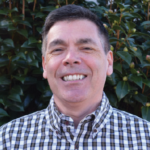 Tom Contrisciano joins the staff of Skagit Horticulture as a regional account manager in the liner division and will contribute his expertise to the GrowProTeam™. Contrisciano has more than three decades of industry experience in ornamental horticulture. He recently transitioned to Skagit Horticulture from Fluence Bioengineering, a manufacturer of LED horticultural lighting. He has also held positions at Ball Seed, Henry F. Michell Co., Paul Ecke Ranch, and Griffin Greenhouse Supplies. Contrisciano will work from Pennsylvania to assist growers and distributor customers in the American Northeast and parts of Canada. He can be contacted by TomContrisciano@skagithort.com, or (267) 283-7720.